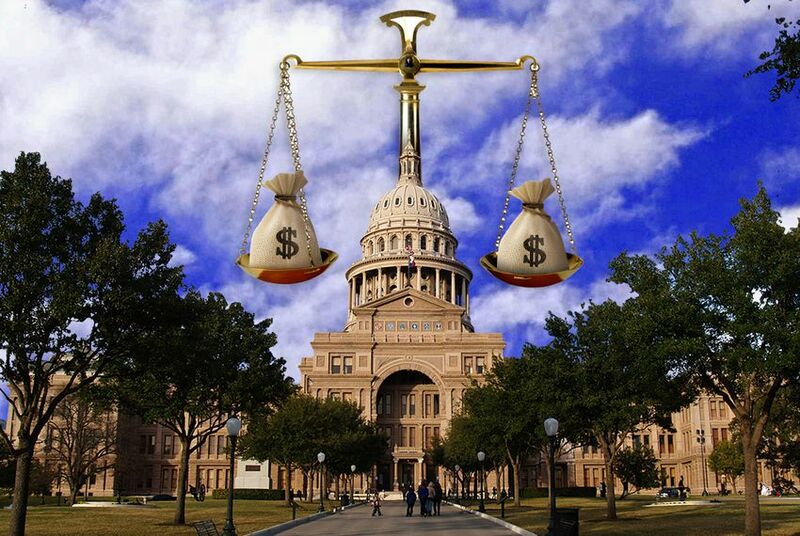 The Texas House approved legislation Wednesday that would overhaul the way the state stows away money for tough economic times. Filed by Rep. Giovanni Capriglione, House Bill 855 would allow Texas to embark on a new investment strategy — the creation of an endowment called the Texas Legacy Fund — that supporters believe would grow the state’s savings account by billions over the decades and potentially give lawmakers extra money each session for often-neglected items such as funding pensions, paying down debts or fixing crumbling infrastructure like state hospitals. The bill, which advanced in a 139-0 vote, would reshape the state’s Economic Stabilization Fund, better known as the Rainy Day Fund. The $10.2 billion piggybank, expected to grow to $12 billion by 2019 if left untouched, is meant to plug budget gaps during times of low oil prices or other budget-crunching turmoil. The bill still requires a final vote in the chamber. Texas Comptroller Glenn Hegar, a Republican, originally drew up the proposal and began pushing it last month. Capriglione, R-Southlake, incorporated it into his legislation, which originally proposed a less-ambitious measure to give Hegar more flexibility in managing the Rainy Day Fund. Hegar cheered the House's vote Wednesday. "We have an obligation to future generations of Texans to create a lasting legacy that ensures our state will remain economically strong and fiscally healthy long after the oil fields dry up decades from now," he said in a statement. "That is exactly what the Texas House did." Gov. Greg Abbott weighed in hours after the vote, tweeting that the overhaul "looks like a smart strategy." By allowing the comptroller to invest a portion of Rainy Day Fund money in higher-risk, higher-yield options in the long term, proponents say, Texas would bolster its defenses against the next downturn. And with additional legislation, the fund could coax lawmakers to spend on important but easy-to-put-off projects. Legislation passed in 2015 allowed Hegar’s office to put some rainy day funds in slightly higher-yielding investments, allowing the money to at least keep pace with the dollar’s changing value. But Hegar, Capriglione and others say that didn’t do enough to modernize the state’s investment strategy. Capriglione said his bill will “mean a significantly higher rate of return for all of us." One tier — equal to 7 percent of state spending, about $7.5 billion during this budget cycle — would function essentially as the fund does now, yielding very small returns but walled off against risks. Lawmakers could vote to tap that fund if necessary, as they currently can. But any excess cash would flow into a long-untouched “Texas Legacy Fund,” which would invest more aggressively, aiming for far higher returns over time. Ideally, the endowment in good times would disburse millions of dollars in returns that lawmakers could tap each session, but only to chip away at long-term needs. The Legislature would need to pass a constitutional amendment to distribute those funds, Capriglione said. That would require votes from two-thirds of the members in each chamber. In a scenario the comptroller’s office mapped out, a $2 billion initial Texas Legacy Fund investment would grow to about $14.8 billion in a decade and $69.5 billion in two decades, assuming a 10-year median return of 6.5 percent.